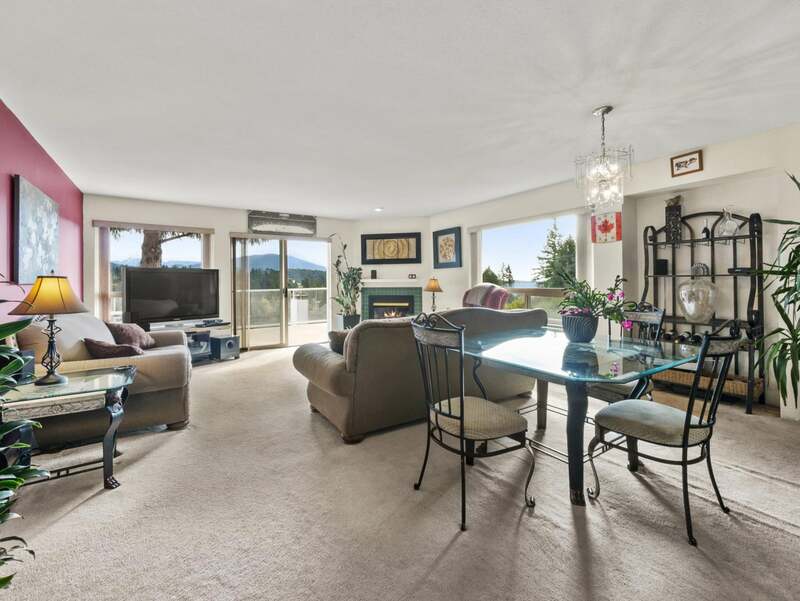 831 Bayview Heights Road in Gibsons, BC is a 2,836 square foot bungalow home with a level main entry, a walk-out basement with floor-to-ceiling windows, and ocean and mountain views. 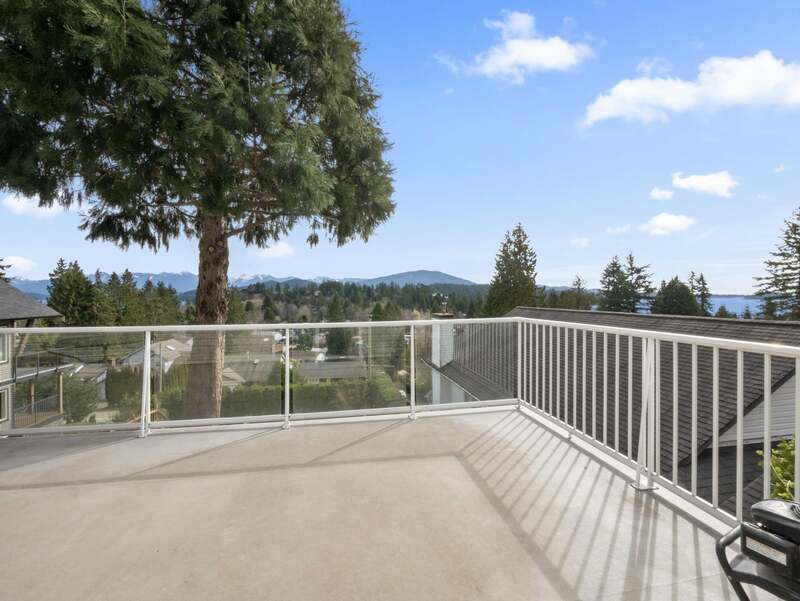 There are views from the deck, from the living and dining room, and from the master bedroom. 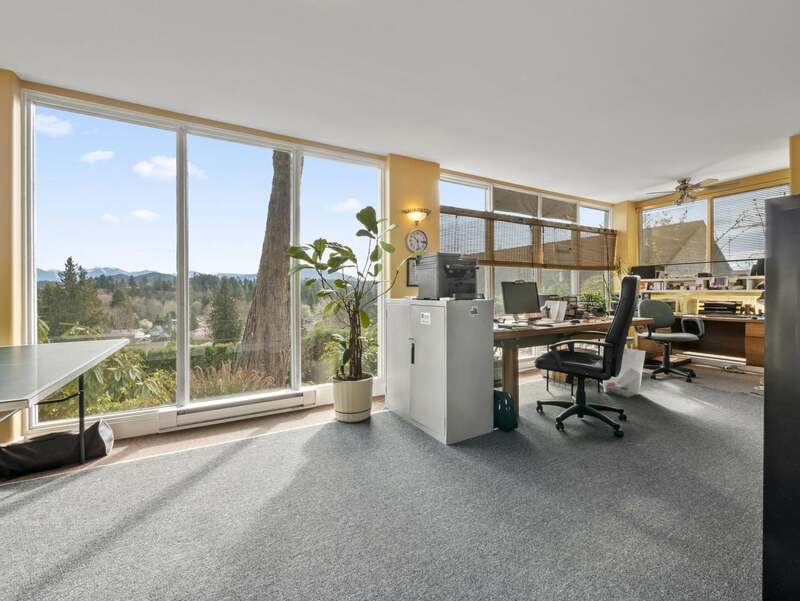 The lower level’s large solarium office and multi-use space also provides peaceful mountain views. 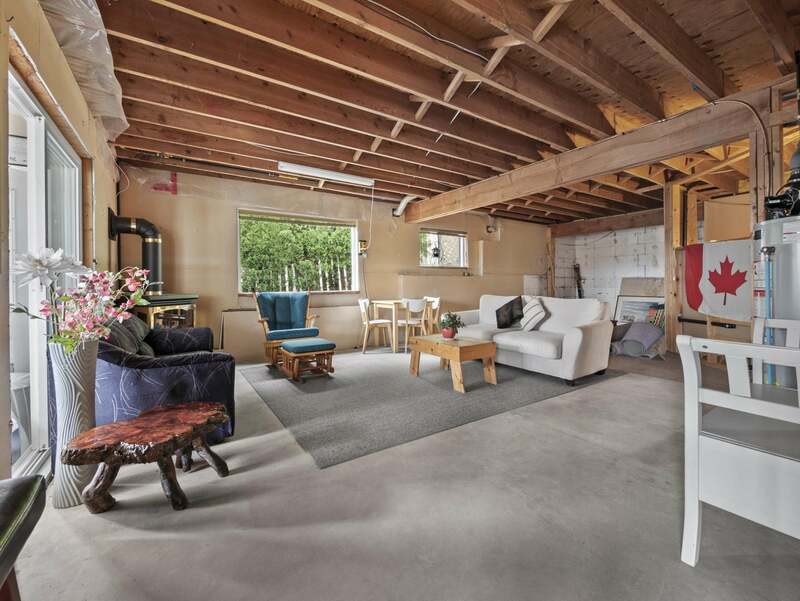 This home has three bedrooms and two bathrooms on the main level while the unfinished lower level has one bedroom and a roughed in bathroom. With a little TLC and finishing you get turn this home into an ideal space perfectly suited to your family. Let’s start the walkthrough tour of the home. From the entryway, we’re greeted by a grand living space with large windows that let in the view and lots of natural light. 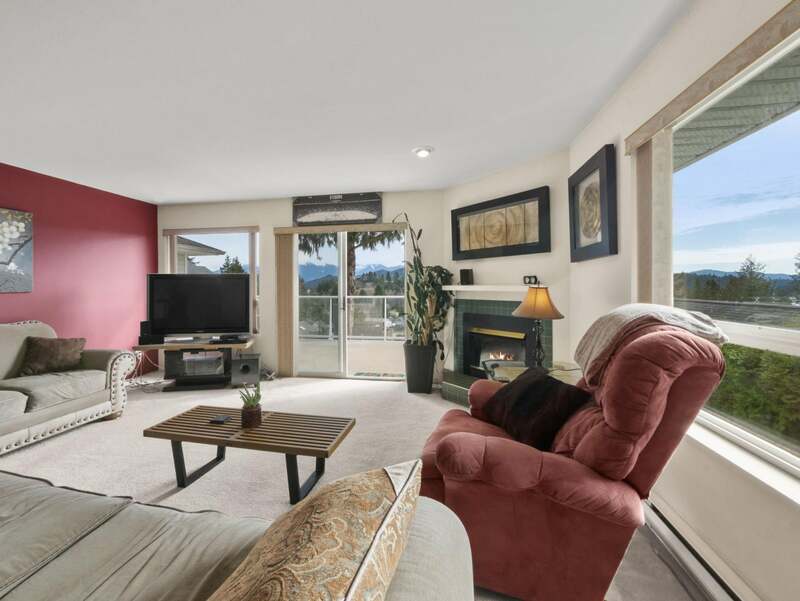 The living room has a fireplace and sliding glass door access to a huge deck that looks out to the mountains and the ocean. These views are even more spectacular in person. Turning around, we have another look at the open concept living room and the dining room space before heading to the kitchen. 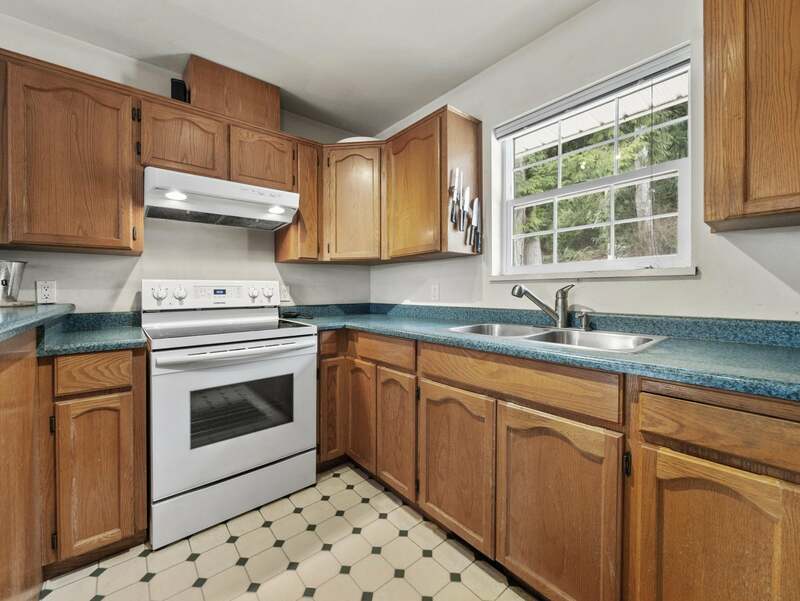 The kitchen is well appointed with lots of cabinetry and three appliances, including a large fridge. Heading towards the main level’s bedrooms, we see the open door which leads down to the walk-out basement. 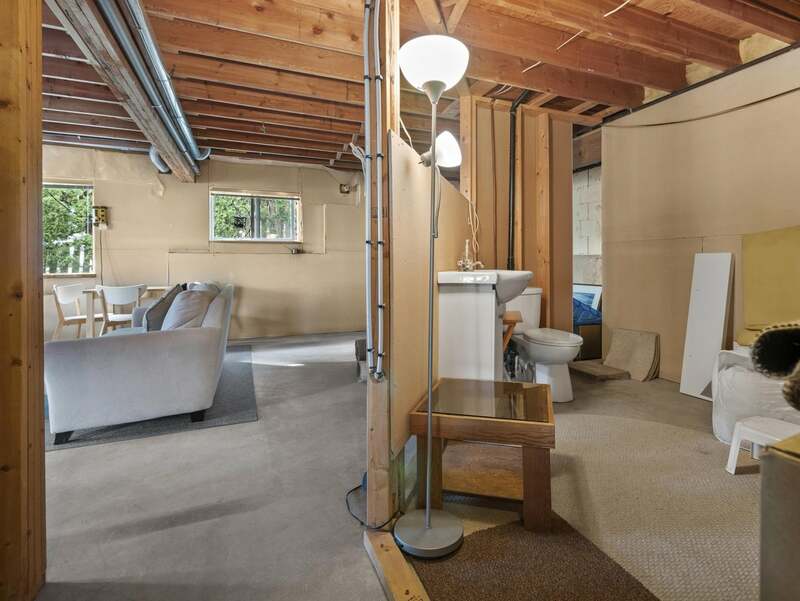 There’s also a linen closet on our left. 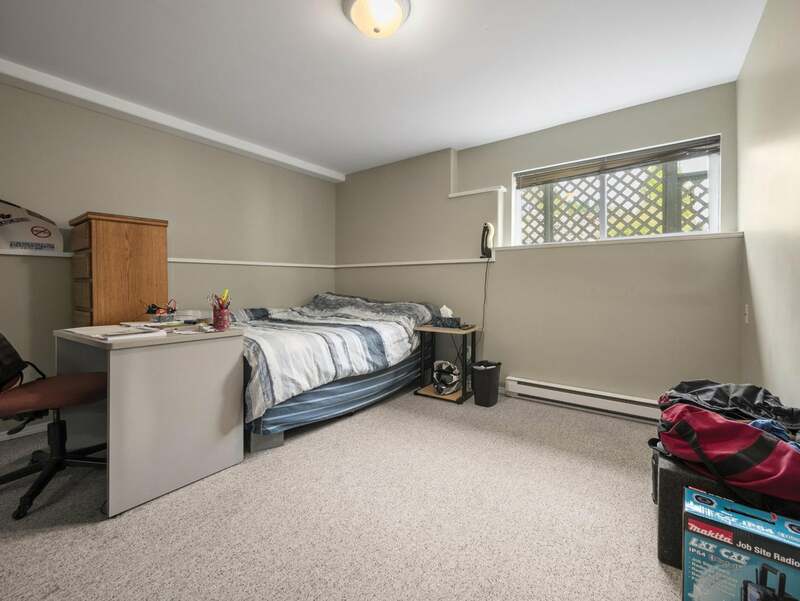 This first bedroom has a closet on the left and in front of us is a west-facing window. We use this passthrough to get to the second bedroom. 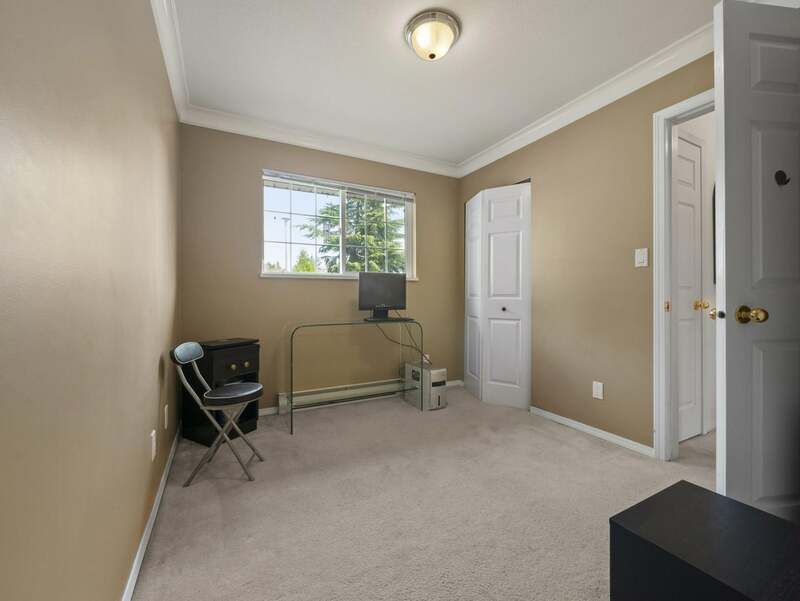 Here we find another closet and a north facing window. Back into the hall we check out this level’s main four piece bathroom. 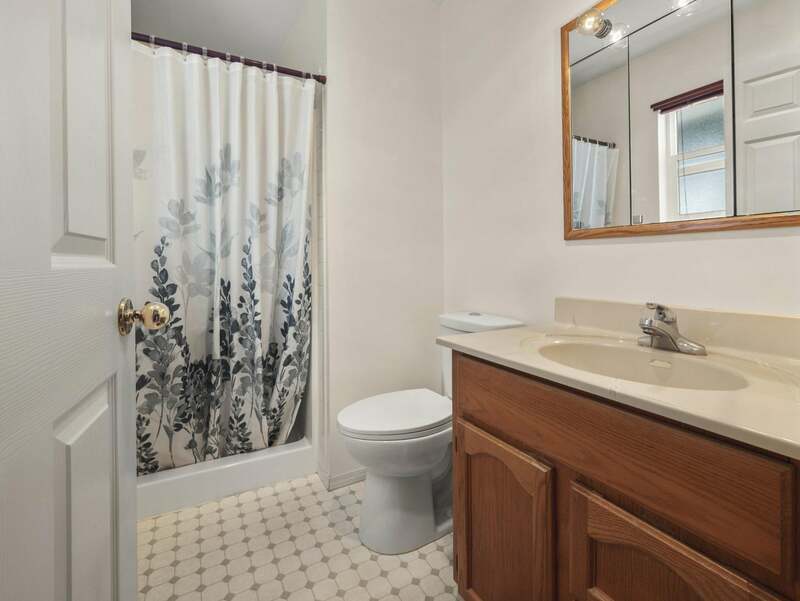 There’s a full-size vanity with a molded inset sink counter top. 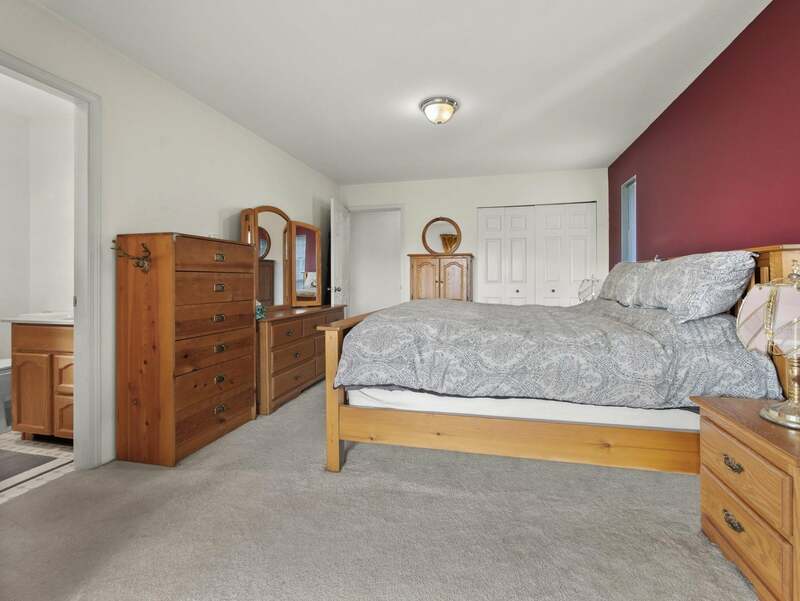 Next is the master bedroom. The large closet is behind on our left-hand side. On our right is the three-piece ensuite. 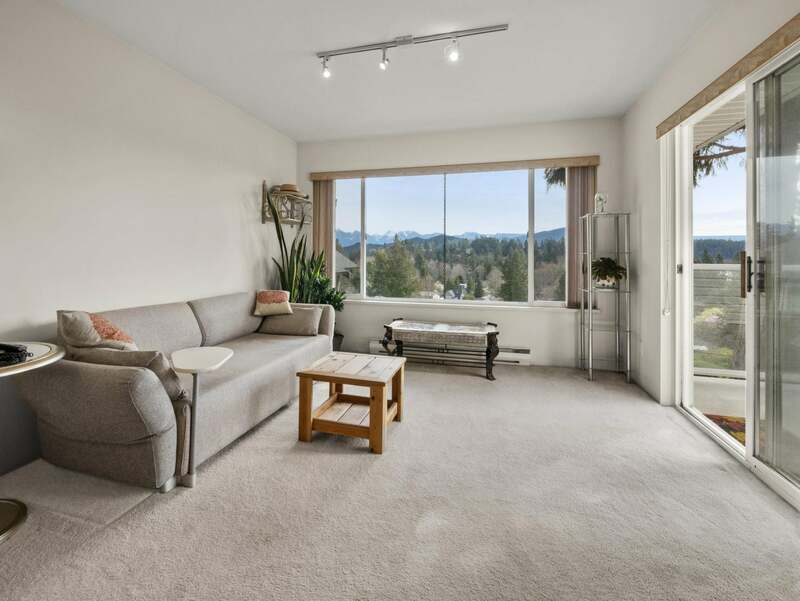 This master suite extends into a sunroom space with its own mountain and ocean views. There’s also another deck access which provides even more views while extending your living space. We now explore the lower level starting from the bottom of the stairs. We see a living room with a fireplace as we make our way towards the roughed in bathroom. This lower level’s solid structure is a great starting point that’s awaiting some finishing choices to bring the vision to completion. 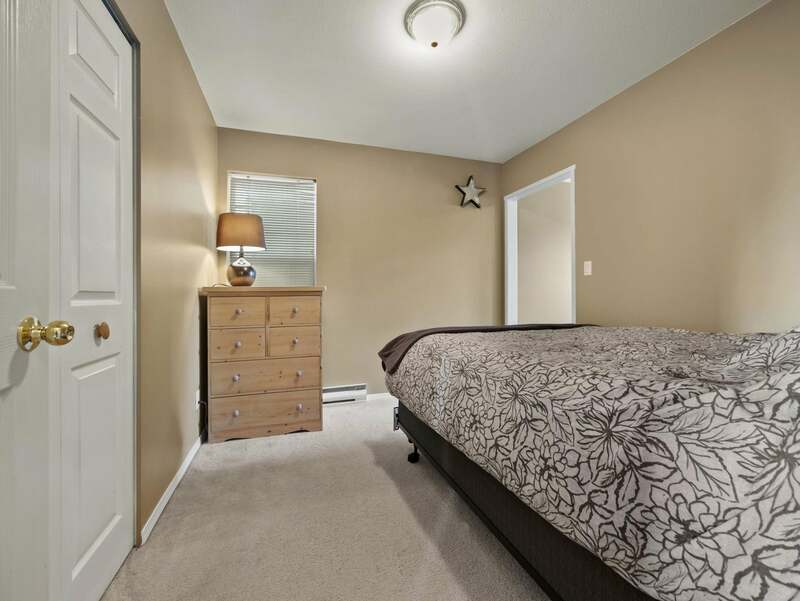 Bedroom number four is oversized and has a big window and its own closet. 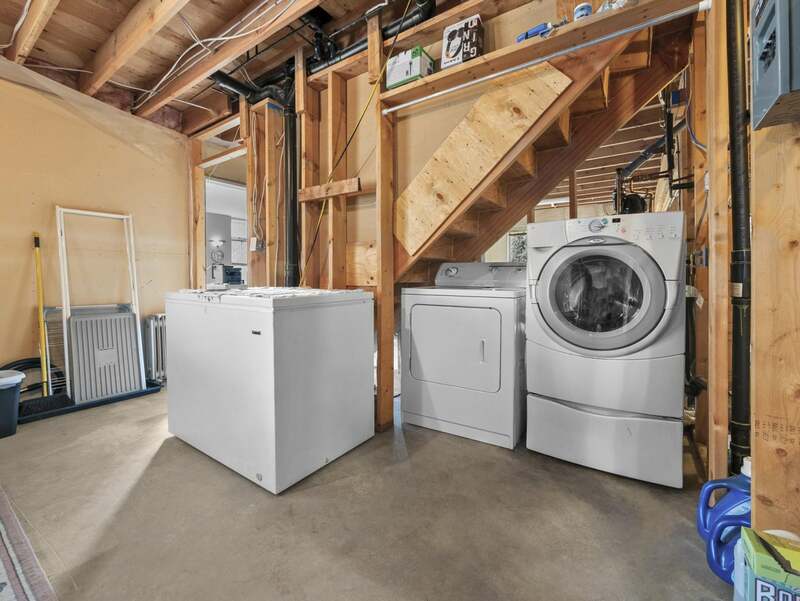 Here we see the washer and dryer area before turning into a large storage space that can be used as is or turned into a fifth bedroom or even a studio space. Stepping into the solarium part of this lower level, we see it’s currently being used as a home office. 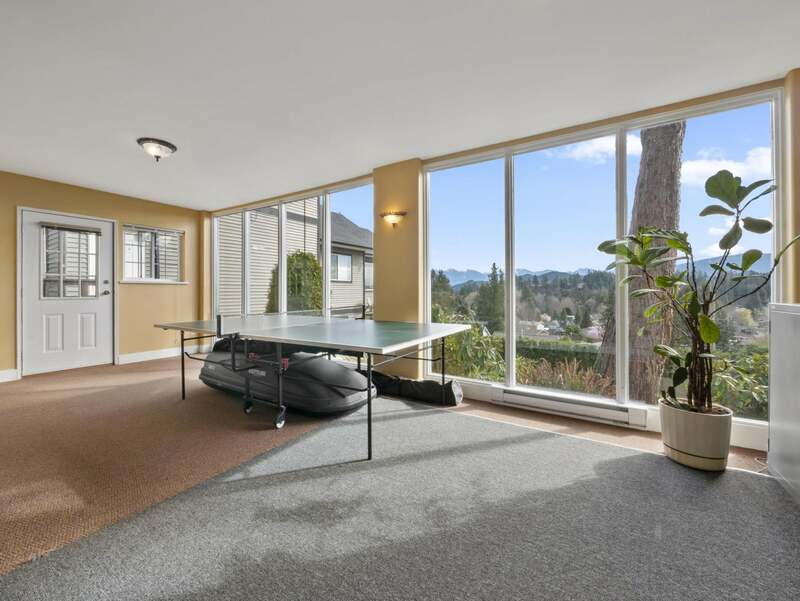 The opposite side of the room is a flex space that’s home to a ping pong table. Big windows overlook the town and the North Shore Mountains can be seen in the distance. These views need to be seen in person to be truly appreciated. 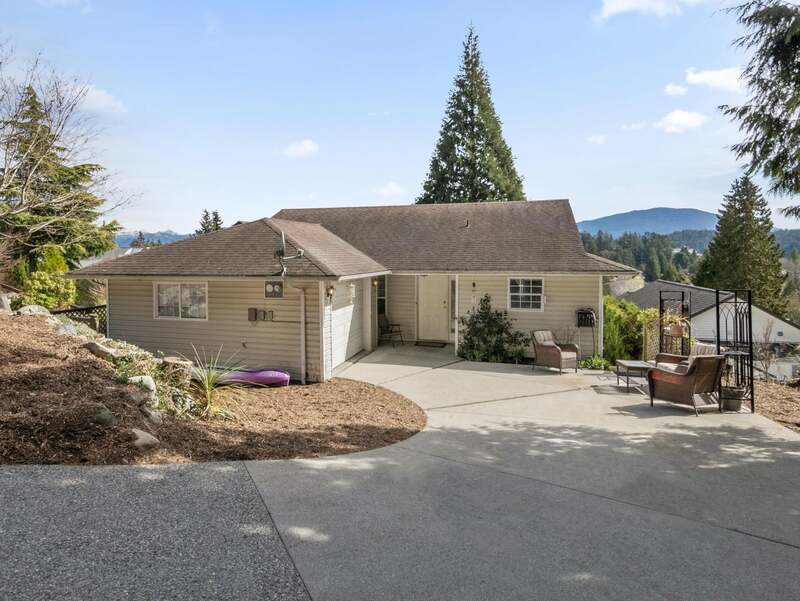 A side door leads to a private fenced backyard that is maturely landscaped with low maintenance plants. 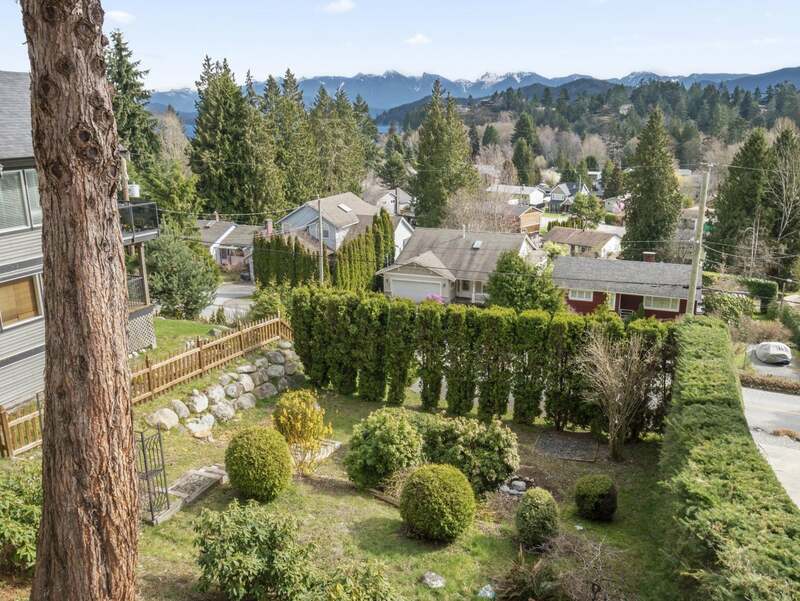 Owning this property provides you with your own private park. 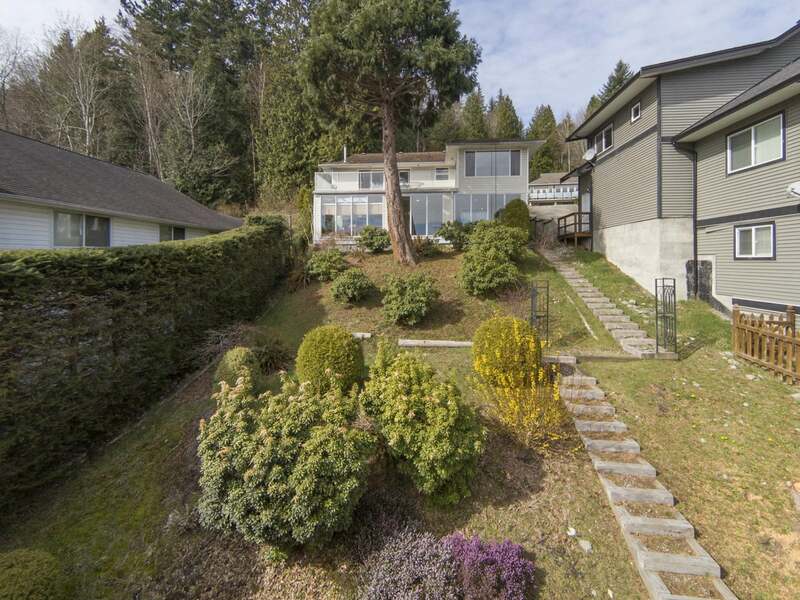 831 Bayview Heights Road is at the end of a quiet cul-de-sac in the desirable Bay Area neighbourhood of Gibsons. 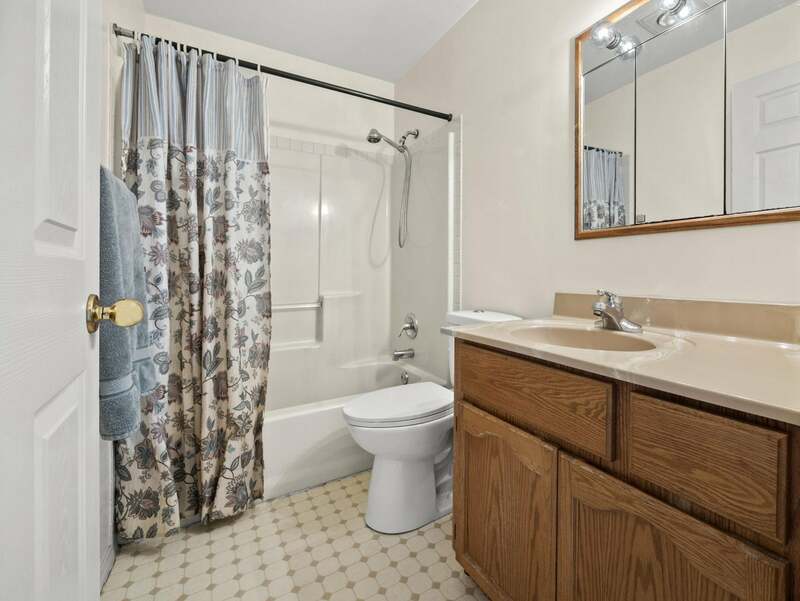 You’re walking distance to beaches, shopping and restaurants. This is an incredible home in a great area that provides you with the opportunity to add your own finishing touches. Easy to show and priced to sell, it’s the one you’ve been waiting for! Don’t delay and call your REALTOR for an info pack today. Floor Area 2,836 Sq. Ft. Lot Size 7890 Sq. Ft. 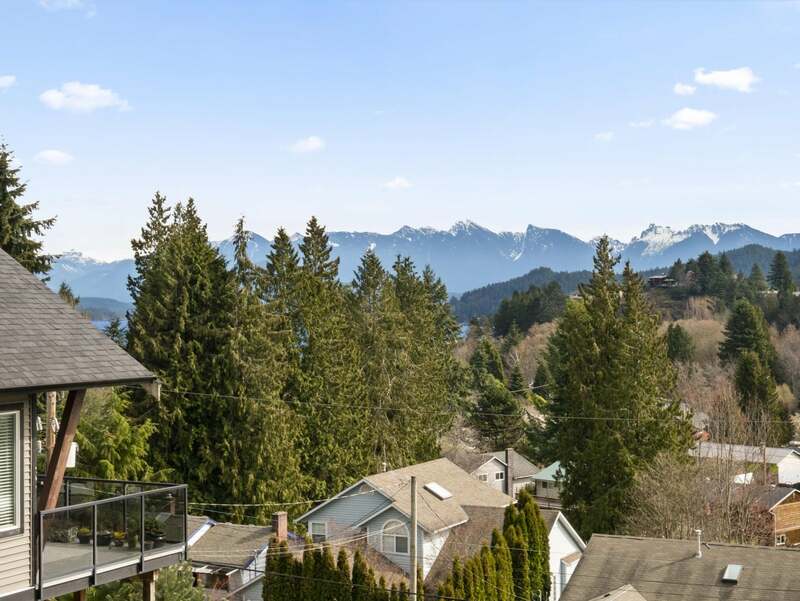 Please send me more information on 831 Bayview Heights Road, Sunshine Coast. Thank you.